Vpi: an ace in the hole! With earnings at a decline, retailers are walking on a tight rope. Feeling like the proverbial Arabs in an Israeli market, they are looking for ways and means to squeeze a bit more out of their daily roll. Well, the crux is right inside their retail; all that they have to do is to do a little recce and apply VPI(Vendor Performance Initiative) that is nothing but exploring (a set of) opportunities in the business to improve profits. A vendor or retailer will spot all profit making areas and loss making areas. Every category, be it supplier’s purchase of raw materials, supply chain, manufacturing processes, product merchandising, shelf service or payments requires a systematic and fact based approach. An overall cost that reduces by 1, 3 or 7 per cent seems more lucrative than a 40 per cent profit, don’t it? And by using VPI, a retailer can improve his precincts and buyers’ knowledge of their category’s financial side. He bonds with vendors so that they can arrive at the methodical assessment of vendors’ capabilities — existing and potential — and retailers’ opportunities to improve in category management, buying, and logistics. VPI develops a strategic view of their business while driving impressive increases in growth and profitability. The VPI approach is equally valid for large and small, hardline- and softline-focused retailers alike. * First and foremost understand the key suppliers’ product economics i.e., suppliers’ most significant cost drivers and their overall margin size. * Calculate the total expenses of merchandise, from gross sales to net contribution. * A full category line review, including vendor composition assessment, each year. * Find out if vendor segmentations and objectives are clearly defined by segment. * See if your merchants develop formal requests-for-proposal from the supply base and optimize both top-line sales attributes and total cost of merchandise. * If your merchants meet regularly with your delivery and logistics organization to identify profit-improvement opportunities. * Do your internal information systems enable merchants, planners, and logistics to evaluate a category’s fully loaded, total cost of merchandise? * Is your activity-based cost information widely used and trusted as correct for decision making within the organization? It takes 16-20 weeks to execute VPI. The time may differ depending on the complexity of the business and so will the profit margin. As per a study by McKinsey and company, the saving percentage of consumables and grocery may be 1to 3 percent, softlines 2 to 6 per cent, hardlines 1to 7 per cent. According to Santosh Unni, CEO - Costa Coffee India, "VPI is especially significant for a cafe chain business such as ours because, the format promises the consumer the same quality & experience in our products & service in every Cafe. Our VPI defines certain basic hygiene factors which are a "must Do" if they are to be a Costa vendor. Performance is reviewed and rewarded on the value add's that we discuss and agree upon. These are ideally elements that can be translated into monetized cost reductions and we are willing to share a part of it with them". According to Peshwa Acharya, VP and Head, Consumer experience, Reliance Retail, " Strategic partnerships with vendors would ensure there is an understanding of costs which can be shaved off without affecting vendor profits, focus on RGM ( rupee gross margin ) instead of only GM percentage, ranking of key vendors on pre agreed parameters ...thus ranking ways to improve, always focus on customers ...and try to grow category ..rather than market share / brand share game only, drive accessorization, more sell , up sell , repeat and build loyalty, share best practices ...thus joint strategy to grow business. Joint promotions and alliances, in fact loss of sales due to poor planning , demand forecast ,looking at D & L supply chain costs etc are great areas to work". Conclusion: So if you haven’t already, get into the grind now, negotiate, contain cost and save some money. 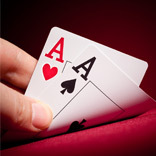 With VPI as your winning card, you can never go wrong in business. It’s time to vie for that extra pie!